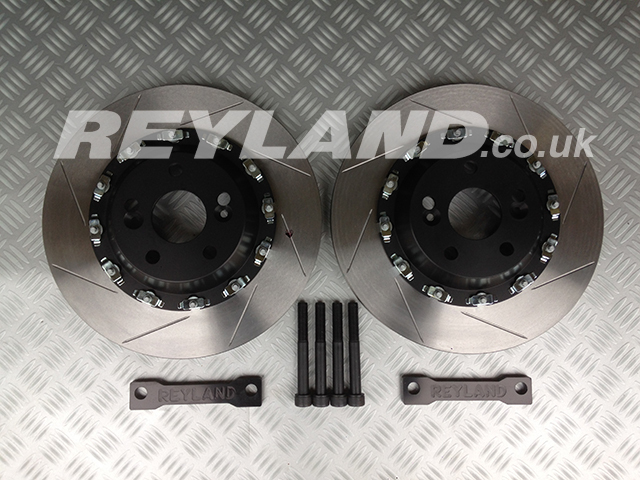 The Reyland Sport front brake conversion features 330x28mm two-piece discs and Reyland billet cnc machined alloy bells. Designed for cars equiped with Brembo 4 pot calipers and 312mm discs. The kit is supplied with all required parts including discs, bells, billet one piece caliper spacers, longer bolts and AP Racing disc to bell bolts. These are a direct replacement for the OE 312mm one piece discs. Floating version is shown in the pictures. 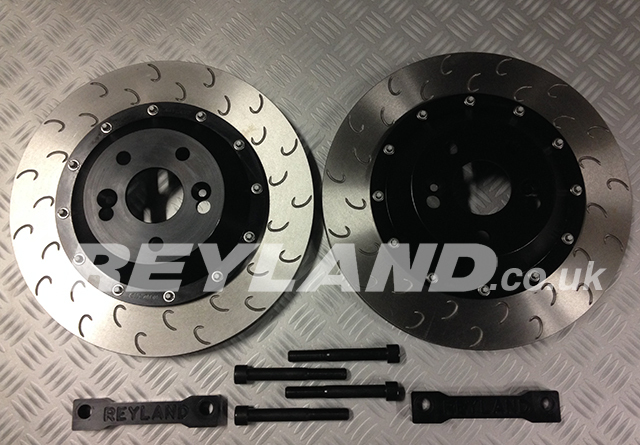 The Reyland Sport front brake conversion features 330x28mm two-piece discs and Reyland billet cnc machined floating alloy bells. Designed for cars equiped with Brembo 4 pot calipers and 312mm discs. The kit is supplied with all required parts including discs, bells, billet one piece caliper spacers, longer bolts and AP Racing disc to bell bolts. These are a direct replacement for the OE 312mm one piece discs. 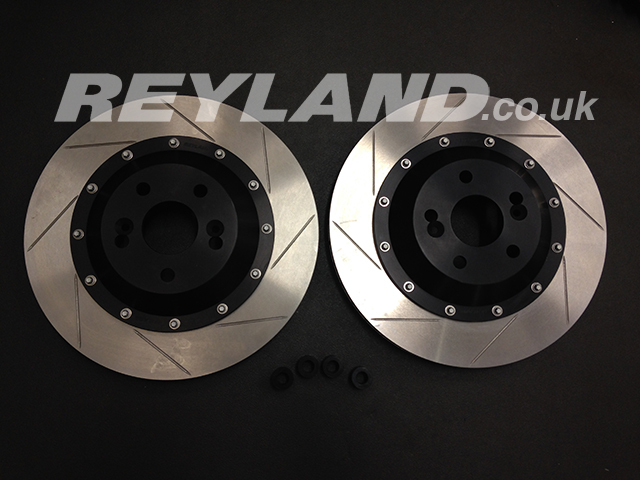 The Reyland Sport front brake conversion features 343x28mm two-piece discs and Reyland billet cnc machined alloy bells. Designed for 18" wheel cars equiped with Brembo 4 pot calipers and 312mm discs. The kit is supplied with all required parts including discs, bells, billet one piece caliper spacers and longer caliper bolts. These are a direct replacement for the OE 312mm one piece discs. Please note that the leading and trailing edges on the underside of the caliper require a small amount filing away, this is a very simple job and no special tools are required.